A class reunion typically brings together those who want to show their classmates just how “cool” they have remained, despite the passing of some years. 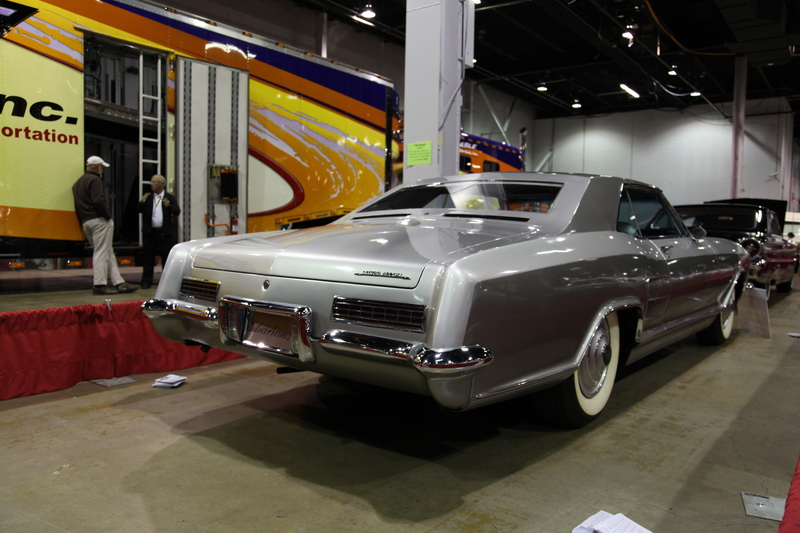 At the 2013 Muscle Car and Corvette Nationals, the annual “Class of” display showed that 1963 was indeed a pivotal year for the auto industry, where luxury and sport styling were vying for public acceptance. The Class of 1963 at this year’s MCACN event displayed the very best of that year…power, grace, luxury, sport. It was a very good year indeed. 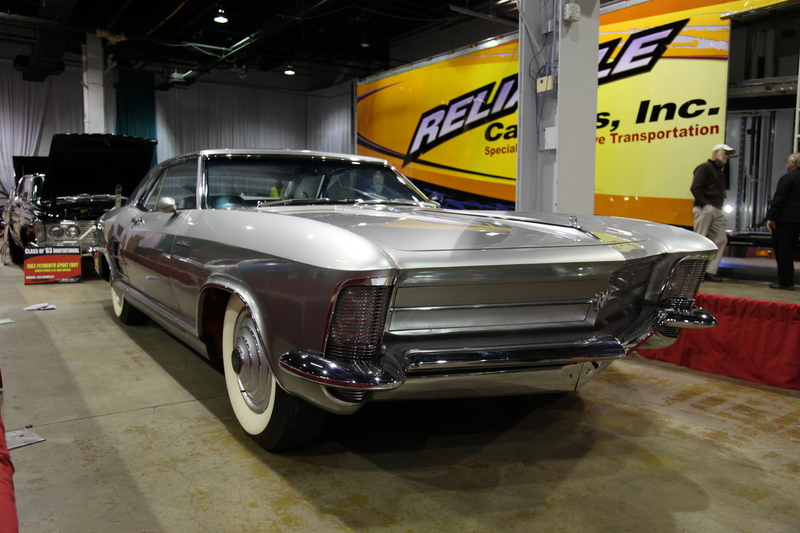 The 1963 Buick Riviera “Silver Arrow” concept car used hidden headlights a full two years ahead of the actual 1965 model. What had to be one of the most unique of this group was GM icon Bill Mitchell’s 1963 Buick Riviera Silver Arrow I. Mitchell is said to have been inspired by seeing a Rolls Royce emerging from an English fog to decide he wanted to create something very special using the newly designed (and yet to be released) Buick Riviera. Mitchell reportedly ordered a Riv taken from the very first day of production and had it sent over to the Detroit styling studio, Creative Industries, where they fashioned Mitchell’s original vision for the car into a rolling version complete with 2” lowered roof, lengthened front hood and fenders and custom front grill and headlight treatment. Mitchell didn’t have anything changed on the car’s drivetrain and actually drove it when the Riv wasn’t on the show circuit, showing off what Mitchell felt was the future of GM styling. He, at one point, had envisioned what became the Buick Riviera as a reincarnation of the former LaSalle nameplate/brand, but no one at GM embraced the Riv’s styling except Buick. Sure glad that wasn’t a design that died on one of Mitchell’s sketch pads. The Silver Arrow I is currently owned by the Sloan Museum and has undergone a perfect restoration. The car is breathtaking and really embodies Mitchell’s incredible design vision.